Find the right tour for you through Kutna Hora. We've got 14 tours going to Kutna Hora, starting from just 8 days in length, and the longest tour is 76 days. The most popular month to go is June, which has the most number of tour departures. "Excellent tour. Guide Karin was great and the driver Kris very good. 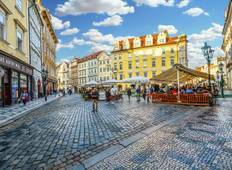 Hotels were..."
"European Trail was amazing, I loved that I got to see so much of Europe in just 23..."
Best of Eastern Europe: Poland, Czech Republic & Hungary! "This trip covered a lot of territory, but each day was filled with adventure. The..."
"The people i met there were amazing, hostels were ok. More activities should be included"
"Amazing trip! Having transportation organised and a guide who was experienced and..."
"Tai was fantastic! 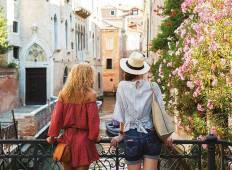 I’m planning another contiki in Europe for 2020 and I’m hoping..."
"Trip was highly enjoyable, the events were well planned out and organised to the..."
"Tai made my Europe Contiki everything I wanted it to be and more! She was fun, energetic..."
"Tai was such an amazing tour guide. Besides her cool personality, she was hugely..."
"The European Trail was an absolutely incredible experience! I made memories that..."
"Had such a wonderful holiday, tour guide always knew of things to do in each city,..."